Here in Vermont, we’re no strangers to the chill of winter. With snow flying from November to March (and sometimes even April!) and temperatures that don’t climb above 30 for several months, we get plenty of practice dressing warm. For those that spend their winter days outside, warm layers, fleece lined pants, and warm, waterproof boots are simple enough to pull on before heading out into the cold. But for those who spend more time indoors than out, dressing warm can be a bit more of a challenge. The cozy layers fit for days spent outside are often too warm for the indoors, and can feel bulky and unflattering under every day outfits. Fortunately, we’ve learned plenty of ways to layer up against the cold without feeling like we’re dressed to spend the day on a mountaintop. Here are four tips to keep you feeling warm while still looking stylish. 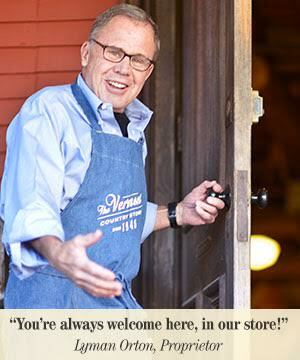 From sweaters to dresses to outerwear you’ll love; The Vermont Country Store has got you covered with styles that will last for years to come! Merino wool makes a great layer. Pair a Irish Knit Cardigan over a turtleneck to keep indoor drafts from making you shiver. You could even wear a warm wool sweater over a coordinating dress for a figure flattering look. A basic black dress is versatile and easy to layer and accessorize. Layer your favorite black dress under a brightly colored wrap to chase away the winter blues. Add a pair of fleece lined leggings and a belt for a casual but cozy winter look. Winter outwear doesn’t have to be bland and boring. Don’t be afraid to add a pop of color to your wardrobe. 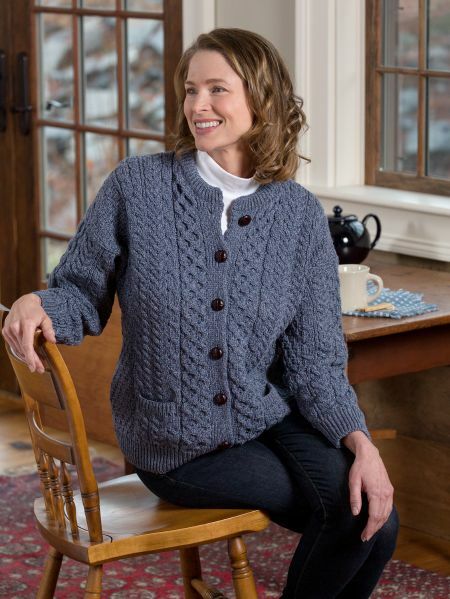 This wool blended cape makes it easy to move while keeping the cold at bay. As you can see, it can be easy to mix and match everyday items. You can build a winter wardrobe that’s fashionable, figure flattering, and most importantly, toasty warm with just a few staples. What are your favorite winter weather clothing items? Tell us in the comments below! Posted in Seasons, Shop the Look.